Bin Weevils is the free online community for children that has over 2 million active users throughout the UK, where they can create their own nest, interact with others and play games. 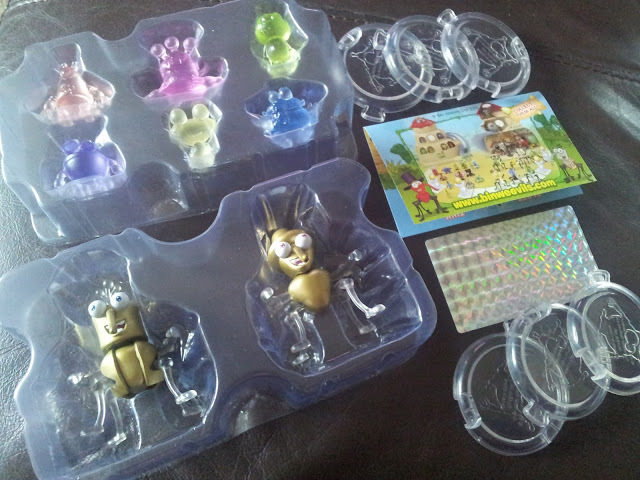 A new collection of playsets and figures has been launched which come complete with codes, to unlock different areas of the website, and Jamster was very pleased to receive a set to review. Apart from being a great place to store your toys, the exclusive Bling Collectors Tin from Character contains 8 super special figures including a ‘blinged’ Tink and Clott, 6 crystalised Bin Bot characters, 6 clear Bin Bot plinths and a glitter sticker sheet. 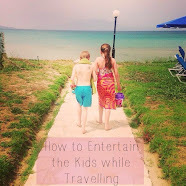 The plinths are a great way to display the figures and they also connect together to form paths or a circle which you can use during play. Suitable for children aged 5+ the figures themselves are solid and even the larger two, that have moving limbs, seem sturdy enough to be played with regularly without fear of bits falling off! 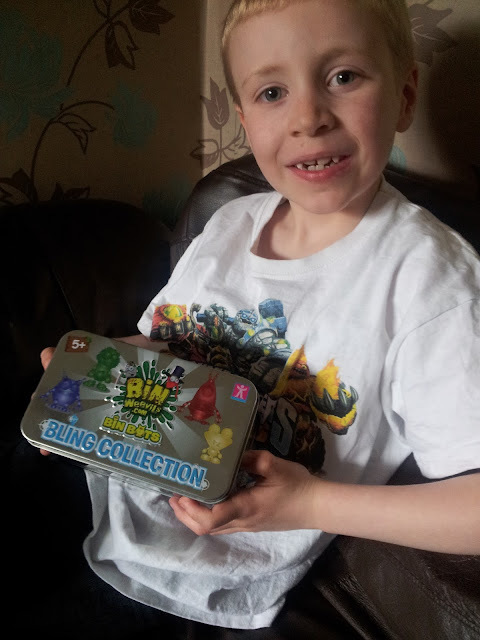 Jamster was pleased with the set and has found the tin really useful for storing both Bin Weevils and other micro sized figures he collects. 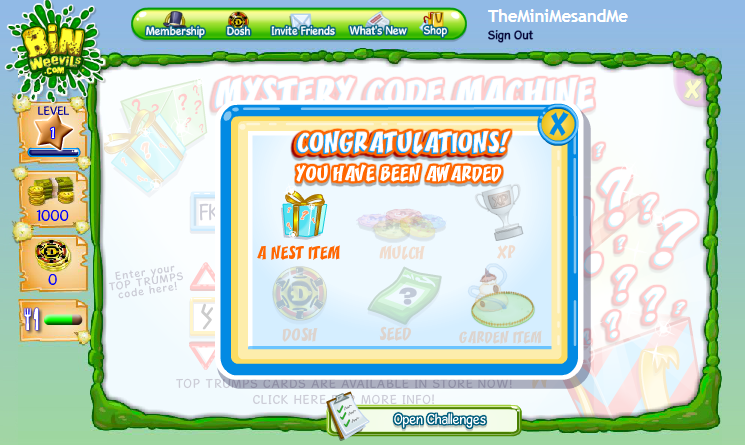 The code was handy as it unlocked a nest item for him to use while playing online too. The RRP is £12.99 for this set which is reasonable in comparison to similar alternatives. 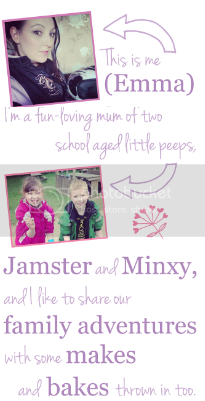 So glad I saw this, my little lady is just getting really into Moshi Monsters and Bin Weevils! The bling set looks great! Yes this set looks great! My youngest daughter would love these for her birthday this month! Why on earth can't kids like nice, fuzzy things...but my grandson will love this ! They look just like the Bin Weevils from the game. And yes the site is free, but there are all sorts of 'perks' you don't get unless you sign up to be a 'tycoon', which means paying.